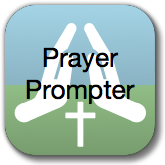 I have used prayer prompter for a couple years now. I thought it a grand find when I discovered it a few years ago and it is even better now. The issue about KJV was not a problem for me. I simply copied and pasted the ESV into each entry. It took time, but I just updated the ones I was reading for each day. By doing this I was allowed quality time to manipulate and work with God’s word — which helped to cement His thoughts into my mind. Developer’s Comment: Prayer Prompter included Scripture passages from the King James Bible up until February of 2015. Since that time, the included passages are from the New American Standard Bible. User can change the included passages they received at the time they first installed Prayer Prompter to another Bible version by a process of copying and pasting. Gives me great flexibility. In addition to leading me thru devotions it allows me to quickly and easily share with those in Asia who I am discipline. We can “share the experience. ” How many times have people asked me to pray for them … Then I forget! One prayer file allows me to put them in one place so I remember to pray for them. Now I can honestly say yes when someone asks me to pray for them. This app has made my prayer time possible by helping me manage and organize my prayer requests. I started with an older version and I’d give it 5 stars in a heartbeat if I could easily convert all the KJV verses to a modern English translation. Alas, only new installations get a modern translation installed. I’m stuck with either manually copy/pasting the verses from a modern translation bible app or starting with a new Prayer Prompter installation and re-entering my prayer requests. Developer’s Comment: Prayer Prompter included Scripture passages from the King James Bible up until February of 2015. Since that time, the included passages are from the New American Standard Bible. User can change the included passages they received at the time they first installed Prayer Prompter to another Bible version by a process of copying and pasting.